He’s by himself while learning a sequence of movements and his memory is totally focused inside his muscles, his nerves, and in his flesh. 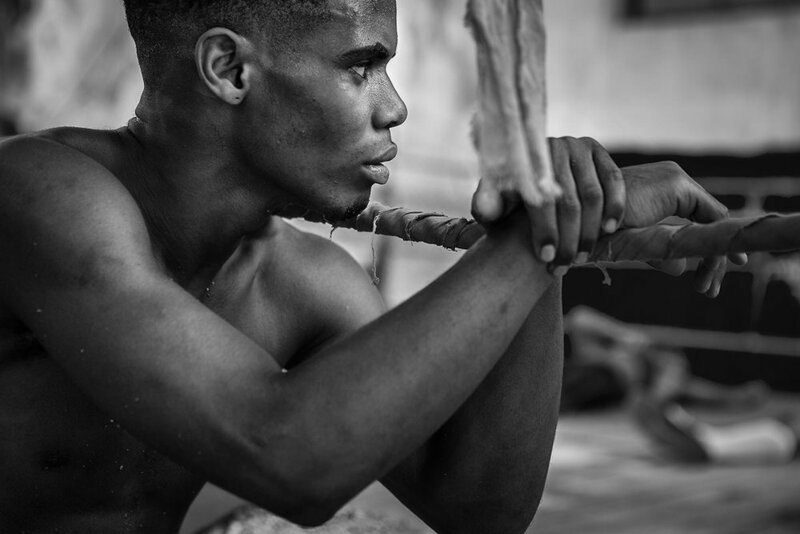 The boxer is alone while training to make his own muscles faster than his thought, to prepare them for instant reaction. He’s alone while struggling to resist his fatigue, and can only do so through more effort. The boxer is alone as he learns to become insensitive to pain, to silence his skin, to silence his sweat, his blood and his wounds. 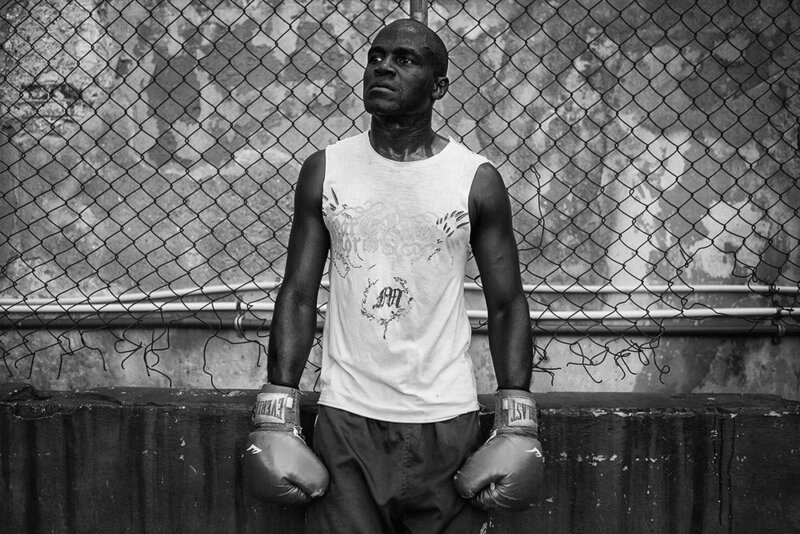 The boxer is alone when he is defeated and at the same time, he learns respect and dignity. Loneliness never leaves the boxer. When his training is over, his body exhausted and bruised, the meeting concluded, he remains alone. 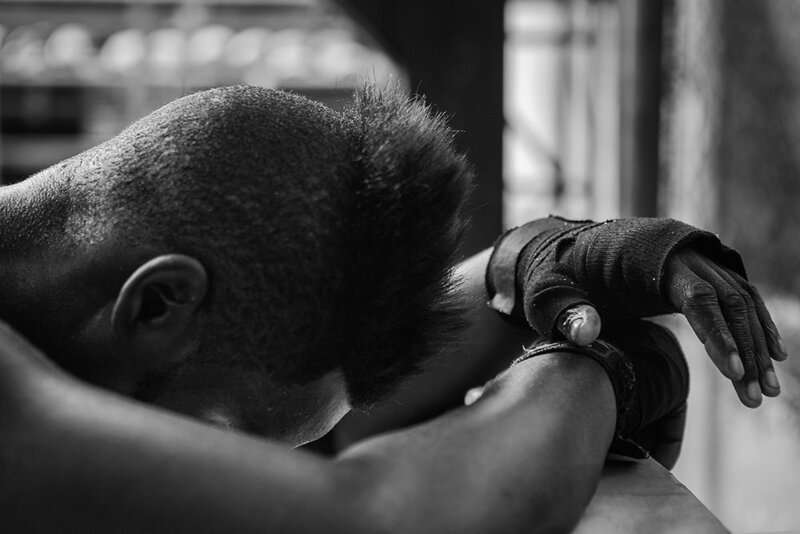 No victory nor defeat: all is left, are his empty and wounded hands to train again and again and even better. 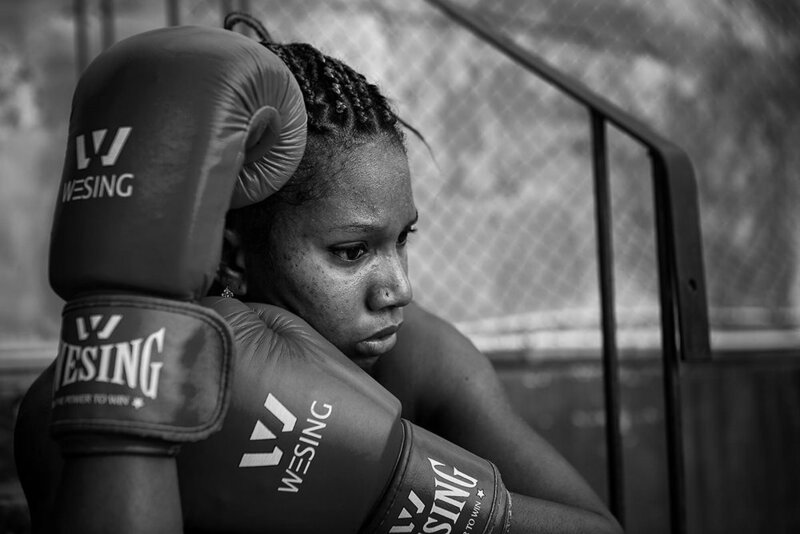 The gym of these photographs, one of the oldest of the 'Havana, the place where boxer children, women, men, professional or not, train daily, is called the "Gimnasio de Boxeo Rafael Trejo". They’re training even now, every one of them is alone.